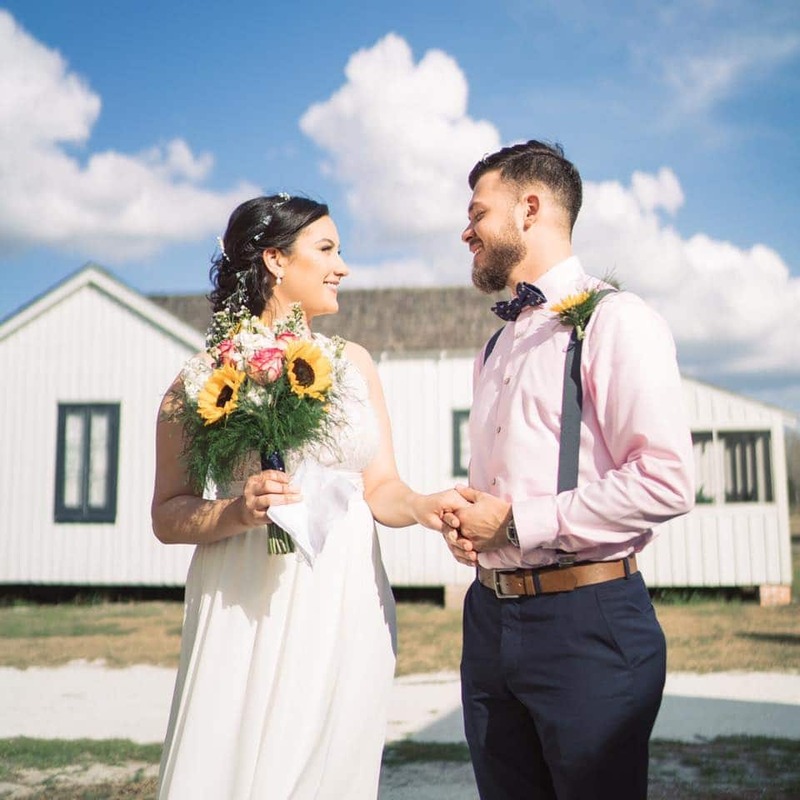 Whether your dream is to walk down the aisle with a barn backdrop, have your guests enjoy their hors d’oeuvres with a view of the water, or let your guests be wowed with a formal ballroom reception, Central Florida has so many wonderful wedding venues to choose from! 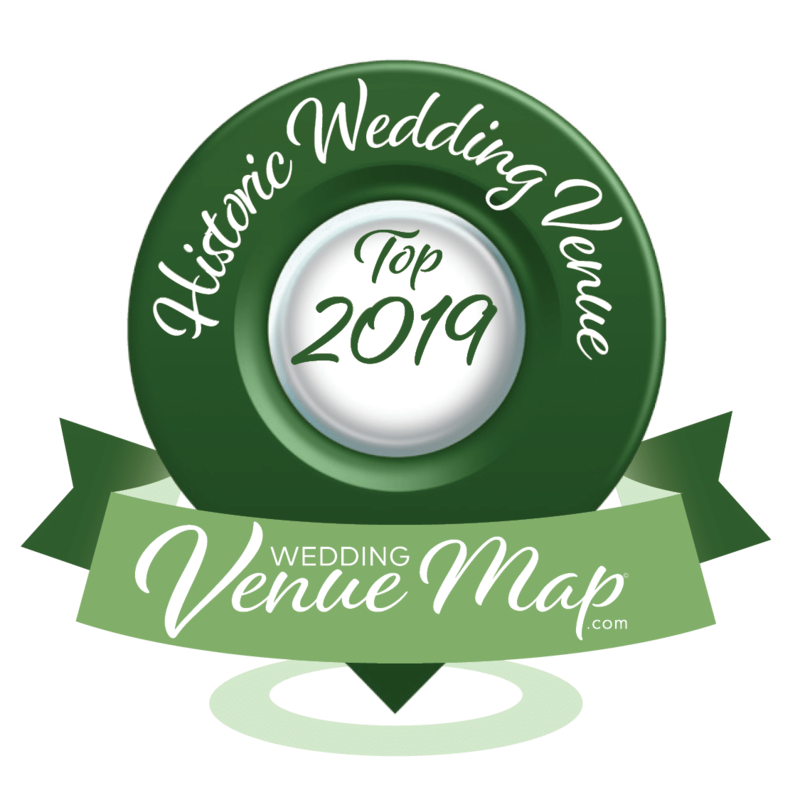 Wedding Venue Map’s Top Venue award recognizes the top wedding venues in Central Florida. It is our way to honor what each individual venue has to offer. 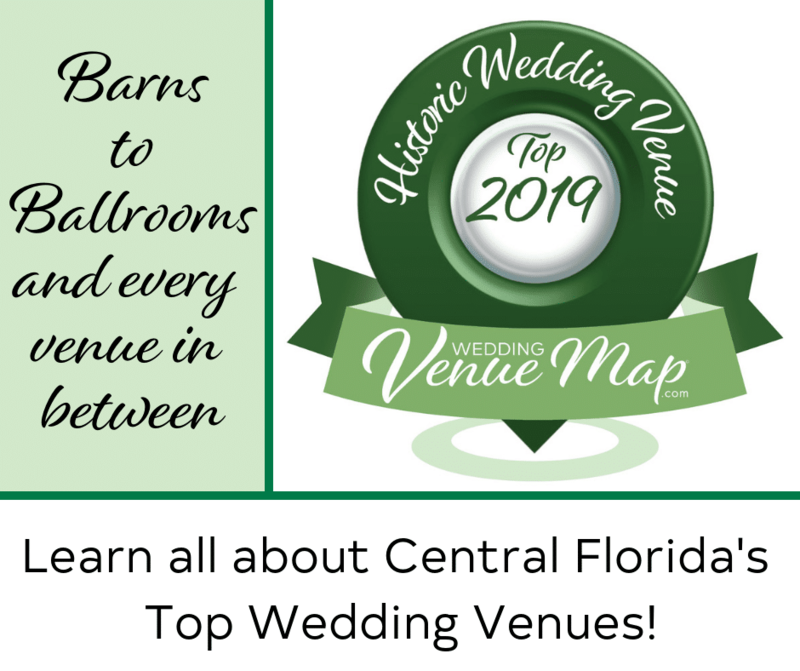 There are 14 different venue categories including everything from Barns to Ballrooms. 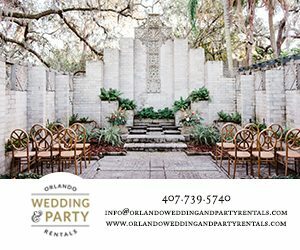 This award recognizes the talents of hardworking wedding venue professionals in and around Central Florida. The A&H’s Maitland Art Center, originally known as the Research Studio, was founded in 1937 by visionary artist and architect J. André Smith. The center was originally a winter artist’s colony, dedicated to fostering an exploratory approach to modern art. 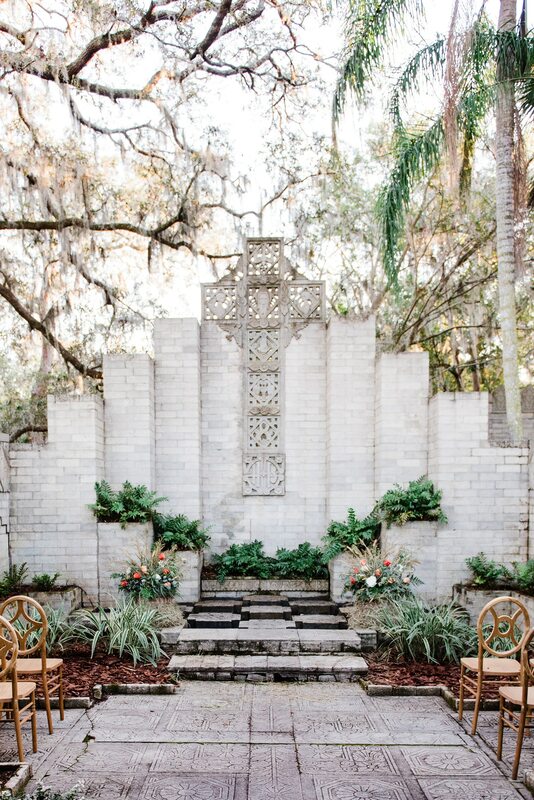 The hundreds of original sculptural elements that adorn the structures were hand-carved by André Smith and his associates, and the center remains one of the few surviving examples of Mayan Revival architecture in the southeastern United States. 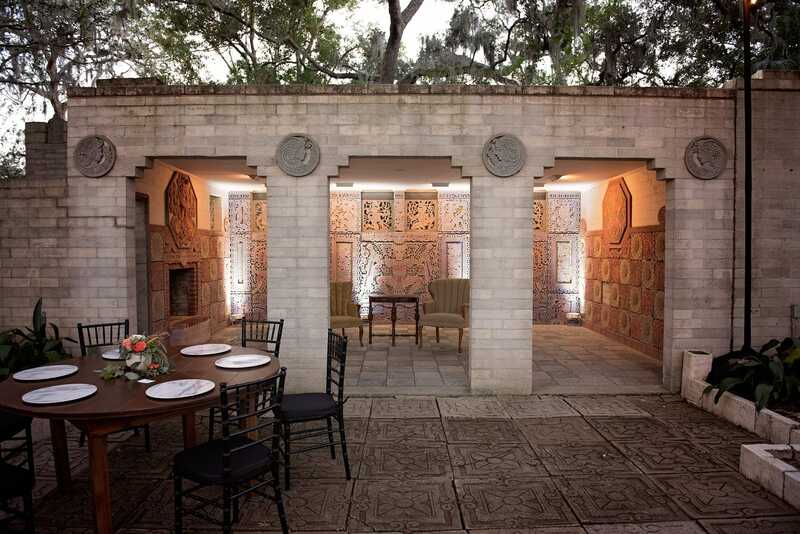 The A&H’s Maitland Art Center is also Central Florida’s only National Historic Landmark and one of 12 in the entire state that hosts private events. 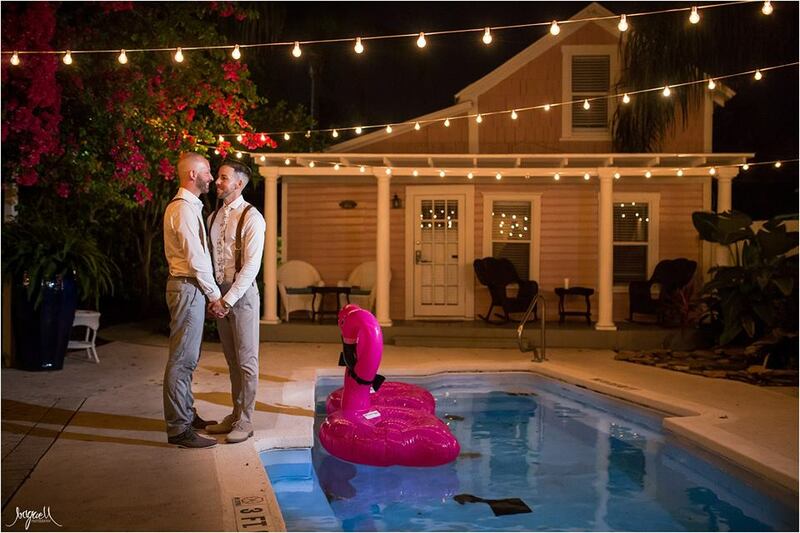 Our Chapel and Mayan Courtyard has been hosting weddings since the early 1940s. 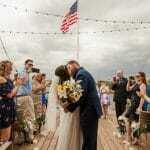 The benefits of hosting your special day at the A&H is the longevity and history of the site. 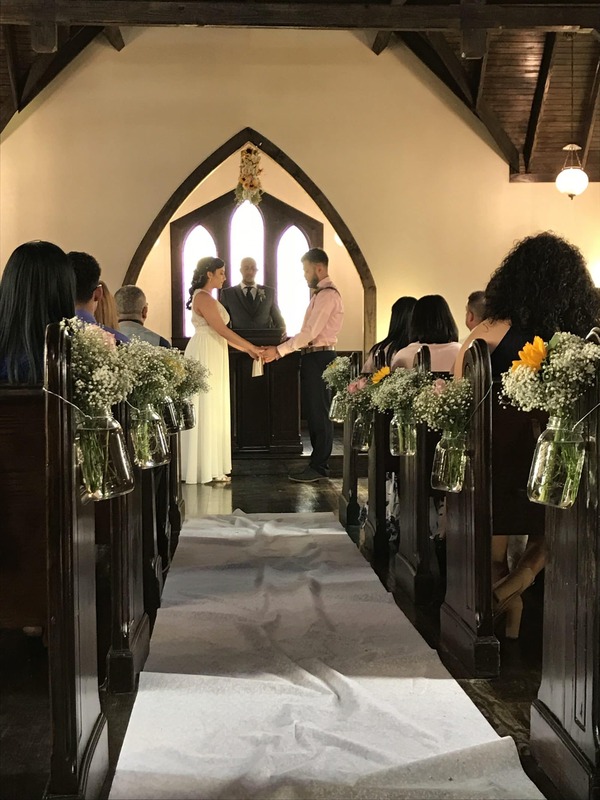 Since our grounds are free and open to the public, (outside of private events, of course) couples come back and see us and may have a romantic picnic in the Main Garden where they got married or take anniversary photos in the Chapel and Mayan Courtyard. There is a very special history here that just can’t be replicated anywhere else. 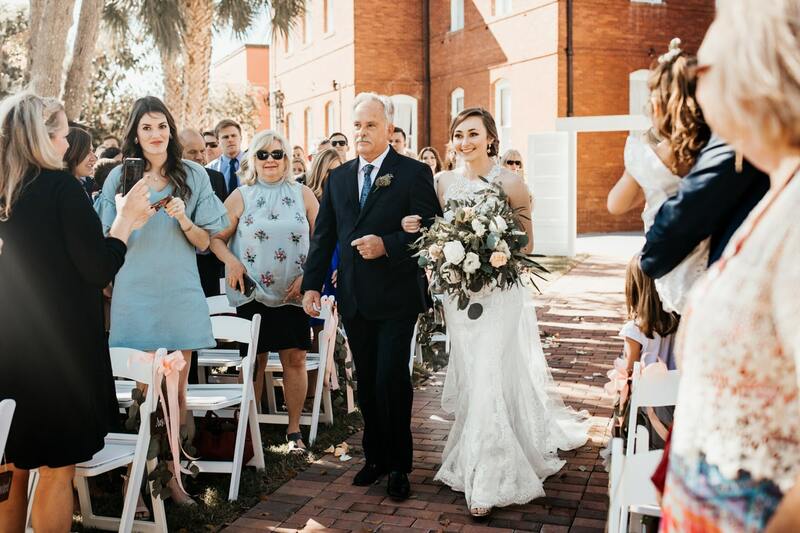 Our rental staff also prides themselves on giving each couple and event individualized attention and customer service which can be reflected in our 4.8 Wedding Wire Rating with over 100 reviews. 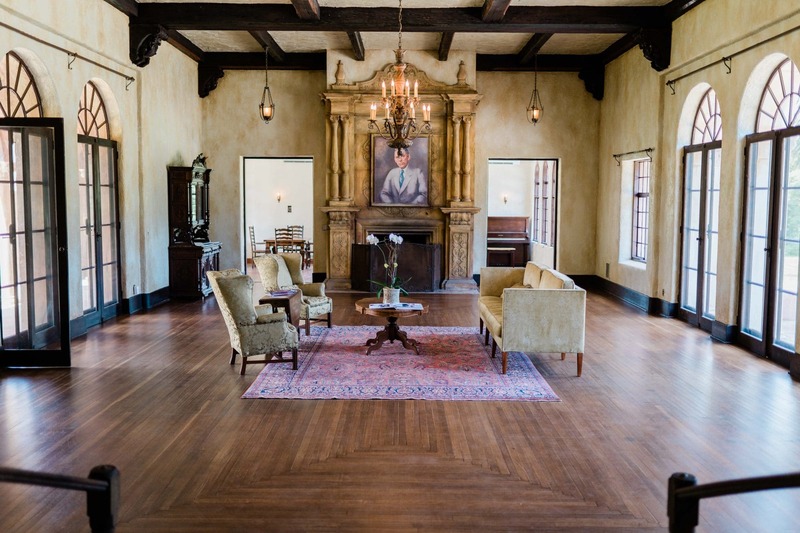 What makes Casa Feliz a top historic venue is its very rich and interesting history. Architecture: Unique Andalusian-style architecture. There is no other space like it in Orlando! Location: Evokes the feel of an antique mansion in the middle of a modern city. Prestige: Listed in the National Register of Historic Places. History: Saved from demolition and moved 300 yards in one piece to its current location in 2001. Historic downtown Winter Garden with an urban, industrial feel. Hometown-inspired locally sourced vendors, an intimate setting, different than most with a hip, urban feel. 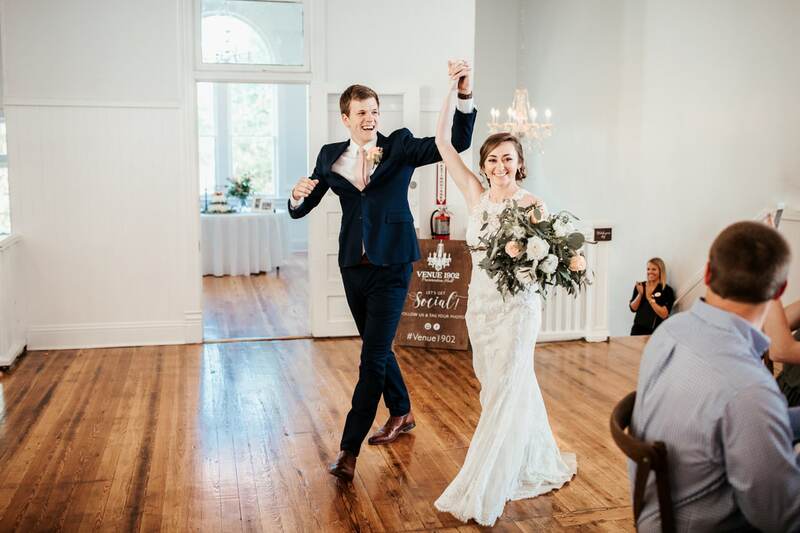 We are almost 100 years old and the mansion has been a private home for much of its life until last year, when it was purchased and renovated to become a wedding venue. The home has a secret latch in the bookcase in the library which opens the wall. A dark staircase leads to our Prohibition Basement where guests can partake in a scotch/bourbon tasting experience! 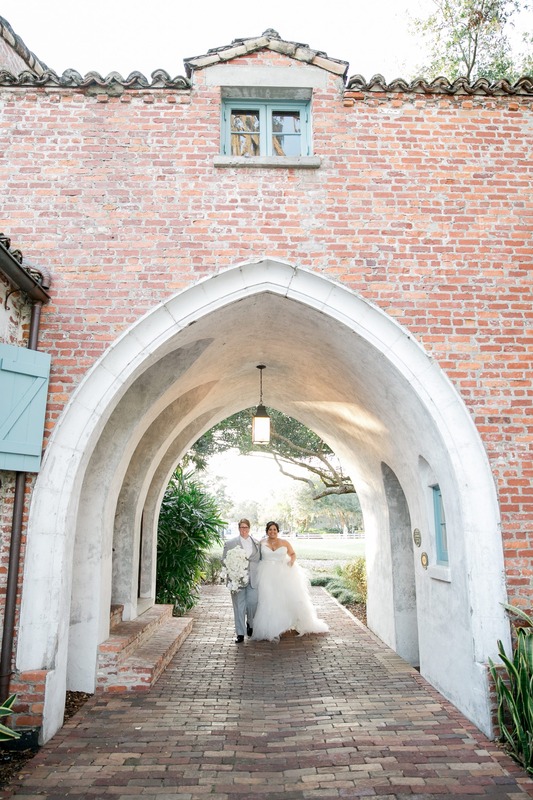 The Howey Mansion offers a luxury experience to each and every guest that graces its doorways. We are different from other historical homes as we cater to events and their special needs. 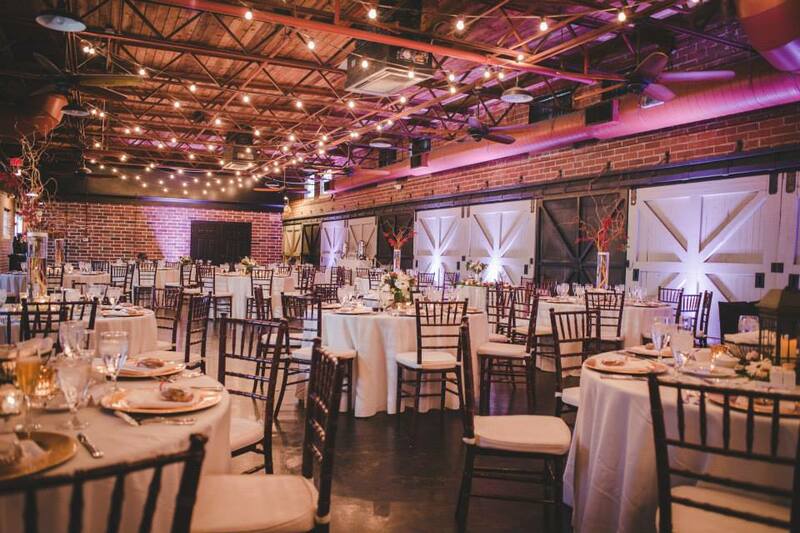 We include chairs, tables, linen, and catering on site which makes the event experience seamless and stress-free! Our venues showcase the area’s natural beauty of the pioneer days. We have 10 acres of open land with historic homes, an antique church, a train station, a blacksmith shop, an old schoolhouse, and an old general store. 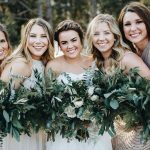 The photography opportunities are endless and the venue’s rustic charm make it the perfect backdrop for a couple’s special day. The opportunities are endless with open vendor opportunities. We should be at the top of our category because our organization is a non-profit organization with the mission to educate and preserve the history of Osceola County. We provide very affordable, high-quality field trip opportunities for schools of all ages, and a free festival yearly with re-enactors, food, craft fair, and fun for the kids. We also run a free museum open to the public 7 days a week that operates from the generous donations from our sponsors, members, fundraising opportunities, and venue rental revenue. 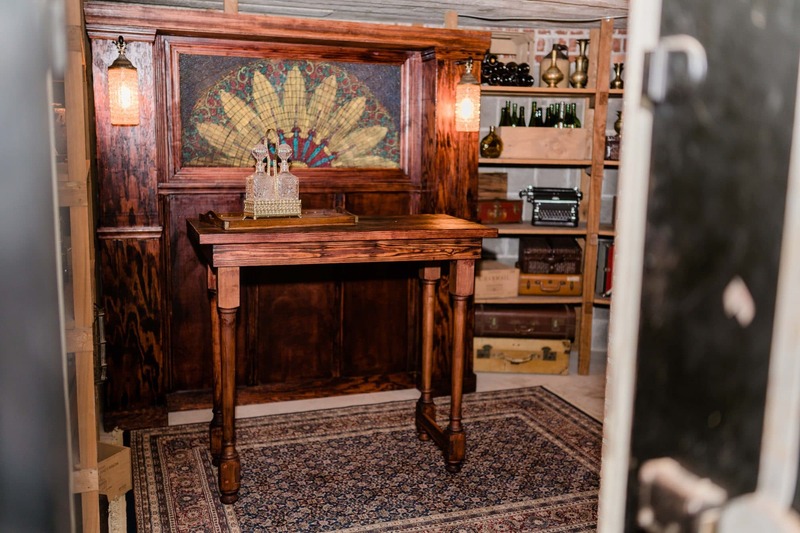 Our turn-of-the-century schoolhouse is fully restored with the perfect balance of vintage character and rustic elegance. 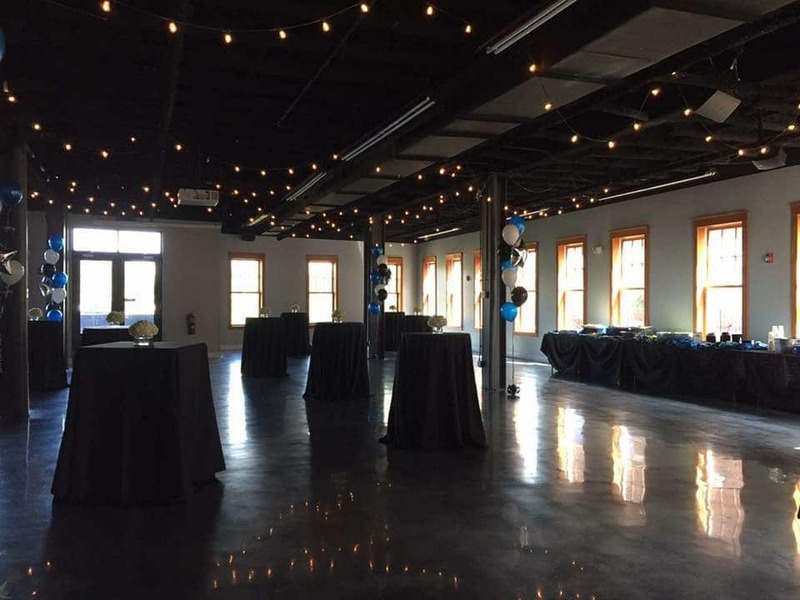 The unique historic building features chandeliers, natural light, hardwood flooring, brick archways, and original architectural elements. 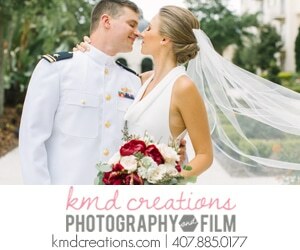 The blank-slate color scheme is ideal to highlight any bride’s personal style and vision. 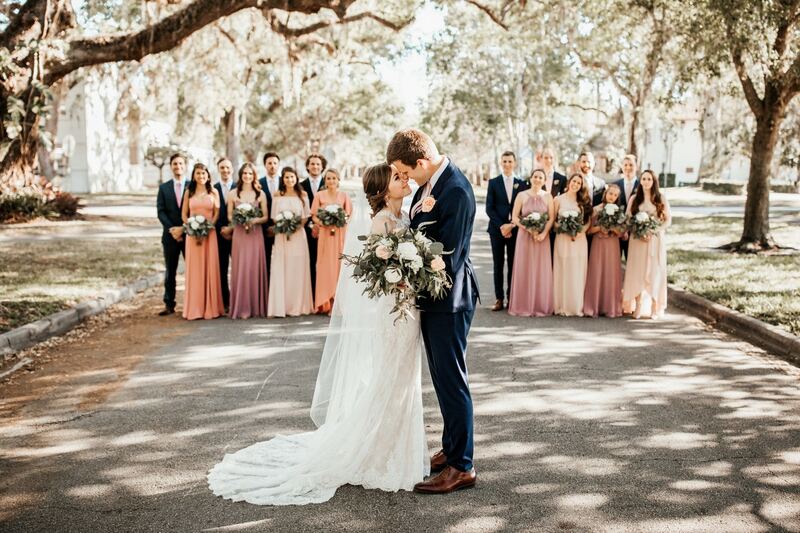 Be it bohemian, romantic, classic, elegant, or rustic, our outdoor garden and indoor event spaces provide ideal settings for your wedding ceremony and reception, social gathering, or corporate event. 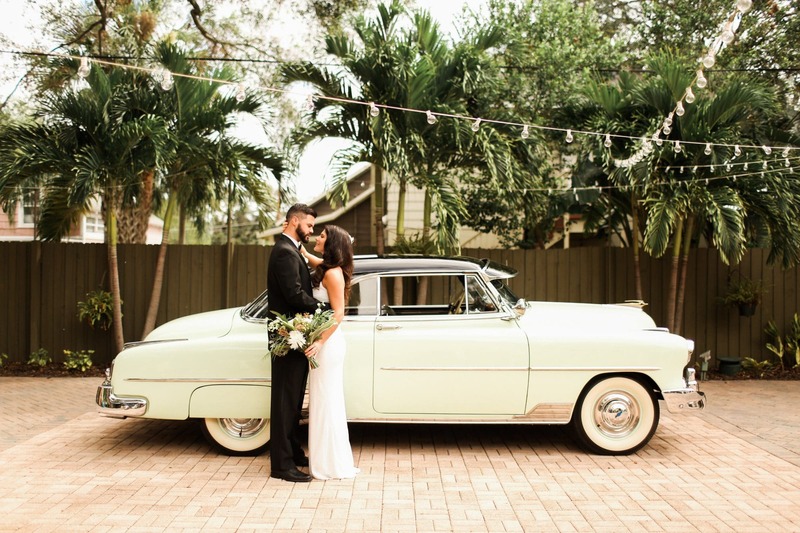 We love hosting Central Florida’s most vintage weddings and events. 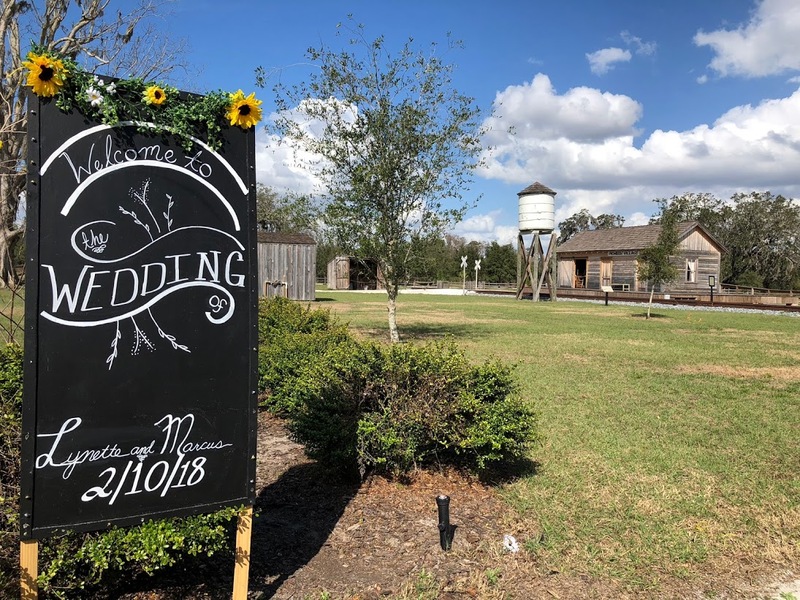 Located across from a city park under century-old oak trees, Venue 1902 is one of the oldest standing schoolhouses in Central Florida. 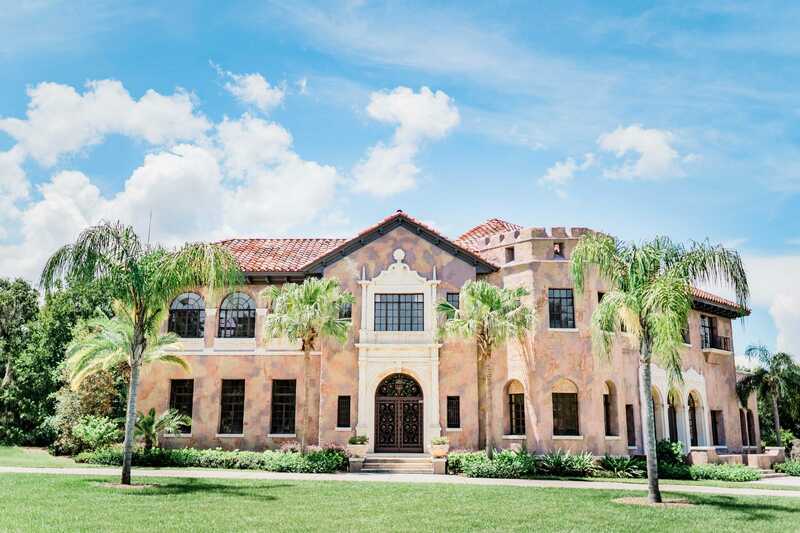 Widely acclaimed as Orlando’s hottest revitalized city, Sanford, FL, is home to the region’s newest high-end eateries, craft breweries, eclectic boutiques, scenic walking trails, and growing theater scene. 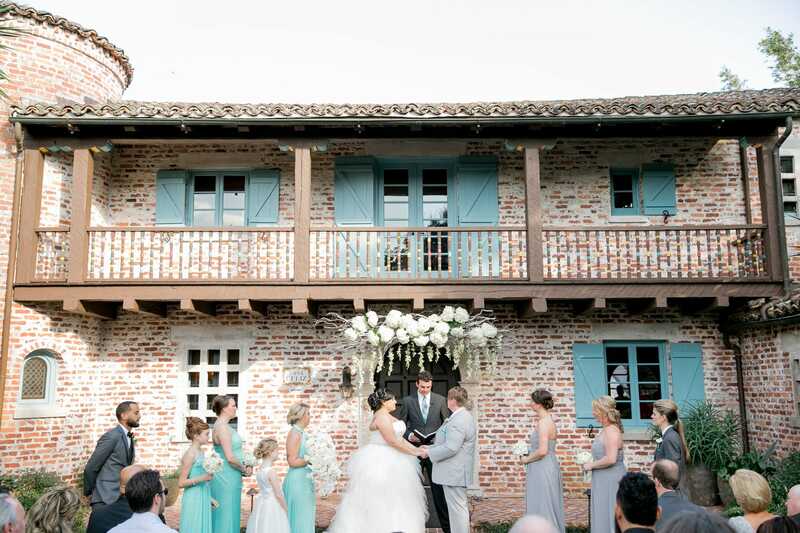 The Veranda at Thornton Park is one of the most sought-after event venues in Central Florida. The venue offers timeless elegance within four beautiful courtyards rich in history. Nestled below century-old trees are Colonial-era buildings that cater to both privacy and community. We help people to step away from busy life to spend time with one another. 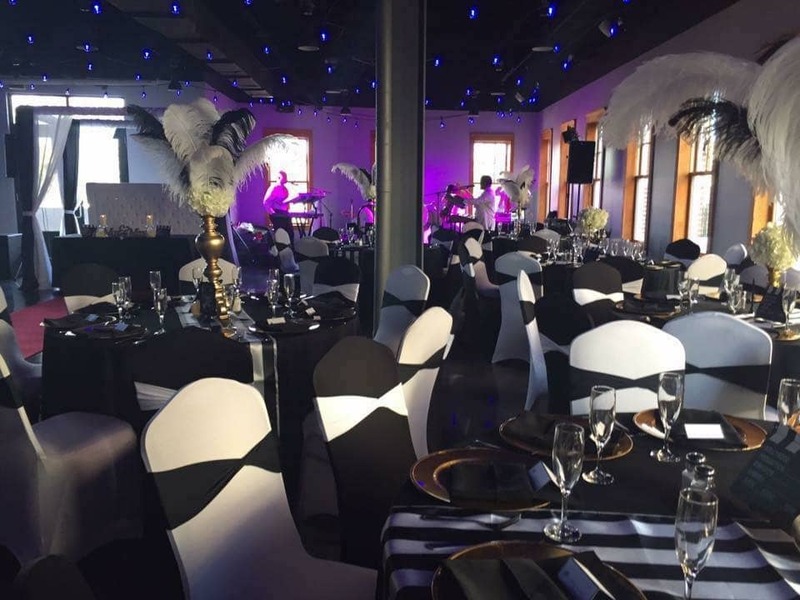 If it is a wedding, business meeting, team meeting, birthday party, or community event, our team will make sure it is memorable. The Venue itself is filled with a rich history and 2018 marks its 100th year being a part of the oldest neighborhoods in Orlando. We officially opened as a bed & breakfast in the early ’70s. 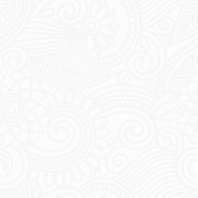 Now we have added more components of the wedding and event industry. Not only can you have a great party with us but you can also stay with us as well. We take care of your event as well as your guests. Our historic venue has grown so much over the years. Our ratings have soared to new heights within the past two years. 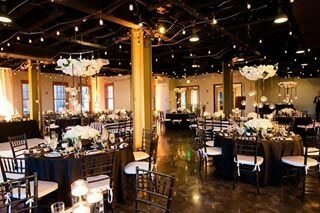 As the Special Events Coordinator, I have worked very hard to show off this hidden gem of a venue. I make sure we go over and beyond for our guests. 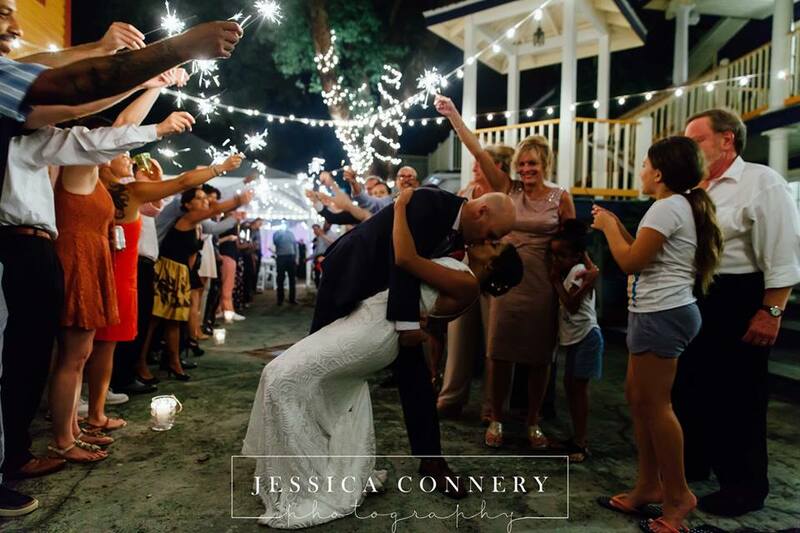 We are not just a wedding and event venue, we are your next door venue who takes care of our clients. Come and stay with us and you will see what I mean. I believe this is one of the best historic venues because we treat our clients like family. If you read our great reviews you can tell how much we put into our work. We have gone from a 3.3 to a 3.9 review rating in the past two years. We deserve to be the top in our category. Our 2800-sq. 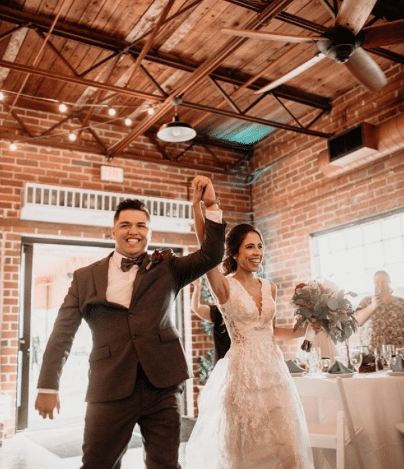 ft. venue began as a train depot in 1882 and by 1979 it had transitioned into a vintage, rustic, romantic venue full of history where couples can begin their lives together. 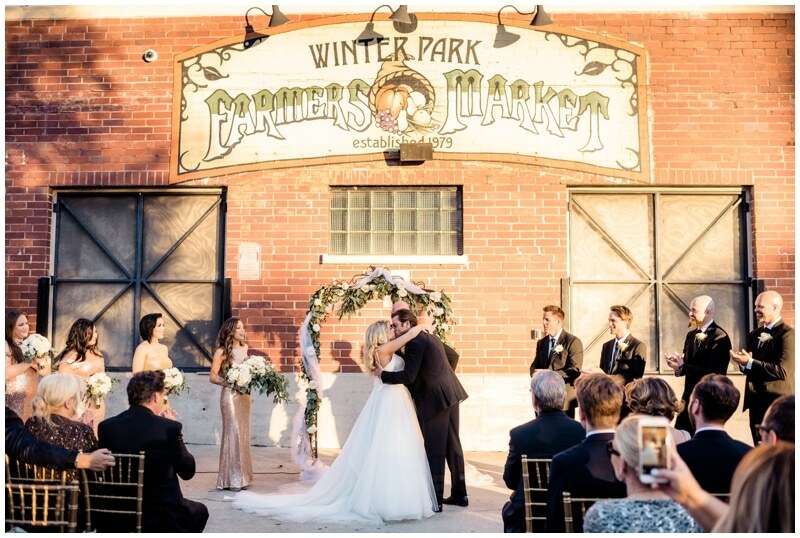 Winter Park Farmer’s Market is one of the area’s most popular wedding venues due to its unique architecture and historic nature. The beautiful brick walls and wood sliding doors are original to this former train depot. The Winter Park Farmer’s Market has been a staple in the Central Florida community for over 100 years. Our venue is a community venue, we host many charity events here each year.